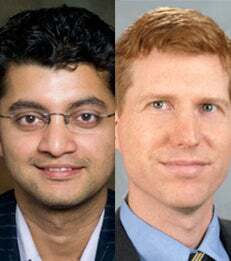 New research from Carlson School of Management Professor Jason Chan and NYU Stern Professors Anindya Ghose and Robert Seamans finds that broadband availability increased the incidence of racial hate crimes committed by lone-wolf perpetrators in the United States during the period 2001-2008. The addition of a single broadband provider led to as much as a 20 percent rise in racial hate crimes in areas where racial tensions were especially high. Their study, the first of its kind to document the relationship between the Internet and hate crimes, sourced data from the Federal Bureau of Investigation, the Federal Communications Commission, the U.S. Census Bureau and the U.S. Bureau of Labor Statistics. According to FBI data, almost two-thirds of reported hate crimes arose from racial bias, making it by far the most typical form of bias-motivated crime in the U.S.
An increase in the number of broadband providers led to an increase in racial hate crimes, particularly among lone-wolf perpetrators. The addition of one broadband provider in every county in the U.S. would have caused 865 additional incidences of racially driven crimes on an annual basis. Yet the Internet’s impact on hate crime was not uniform and was predominantly present in areas with higher levels of racism, identified by the amount of racial segregation present and the proportion of racially charged search terms used. Greater Internet access did not cause an increase in the formation of off-line hate groups. However, it may have enhanced the efficiency with which extremists could spread hate ideology and spur like-minded individuals to carry out lone-wolf attacks. The article, “The Internet and Racial Hate Crime: Offline Spillovers from Online Access,” is forthcoming in MIS Quarterly. Visit YouTube to watch a video on the research and its implications. To speak with the authors, please contact them directly: Professor Jason Chan at 612-626-9974 or jchancf@umn.edu, or Professor Anindya Ghose at 212-998-0807 or aghose@stern.nyu.edu; or contact Jessica Neville in NYU Stern’s Office of Public Affairs at 416-516-7677 or jneville@stern.nyu.edu, and Steve Rudolph in The Carlson School’s Office of Media Relations at 612-624-8770 or skr@umn.edu. Follow @NYUStern and @CarlsonNews on Twitter for the latest in faculty research.